Visitors to Chief Logan State Park’s museum will enjoy enhanced services and expanded hours. Visitors to Chief Logan State Park’s museum near Logan, West Virginia, will enjoy enhanced services and expanded hours when renovations to the popular attraction are completed, according to superintendent Bruce Collinsworth. Closing Jan. 6, the the museum will reopen Memorial Day Weekend, Collinsworth said, and the updated facility will operate as a visitor’s center with a museum, a new gift shop, public restrooms, and state park offices. Museum hours will expand to daily operation and will include longer hours in summer months and reduced hours in winter, he said. W.Va. parks chief Sam England said the renovation will ensure the park’s history takes center stage. 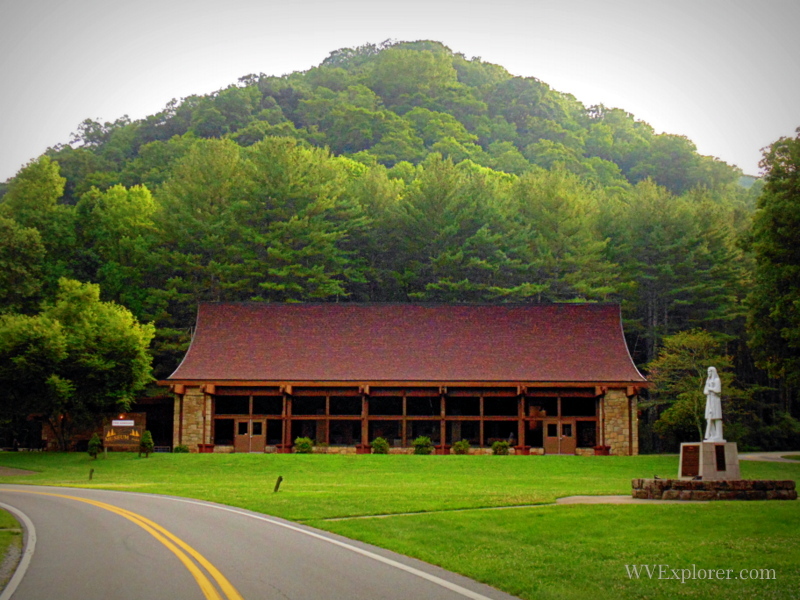 These changes are the result of a cooperative agreement to transfer operation of the museum, from the West Virginia Division of Culture and History to the State Parks Section of the West Virginia Division of Natural Resources. Provided by the W.Va. Division of Culture and History, the exhibits will showcase the rich history of southern West Virginia’s natural resources, of its people and folk life as well as business and industries such as Blenko Glass. “We appreciate that Chief Logan State Park accepted our request to assume the operation of this unique facility in southern West Virginia and to retain the exhibits and displays,” said Randall Reid-Smith, Commissioner of the Division of Culture and History. The museum has been leased by the Division of Culture and History since April 2003. There is no admission fee to visit the museum or Chief Logan State Park.